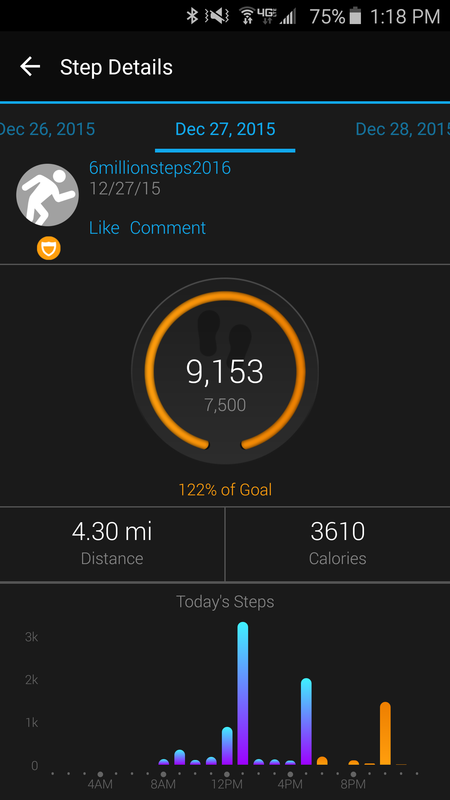 Is I stated last night, yesterday was a difficult day to get in steps. Today, I feel similar but have done better. One of my biggest barriers to success with this challenge will be progressively increasing my step count and keeping it at a higher level. Yesterdays final step count was 8,515… This makes me proud that I have at least been able to meet my goal of 7,500 a day this week. Today makes three days in a row with 7,500+ steps. Today will probably end up 10,000+. Hooray!! For those wondering how I will am planning to add so many extra steps to my life. The answer is lots of Munzee, Geocaching, and Flagstack. For people whom are unfamiliar with these activities they are all GPS based games that are played worldwide. All of these I have been doing off and on throughout the year. Recently much more Munzee then anything else. Well that’s all for today… I have been doing some other reading on ways to increase steps in your day and plan to publish some links / tips this weekend. I didn’t get the time to do a true post today. Now it’s midnight and I can’t sleep and have a million things going through my head. 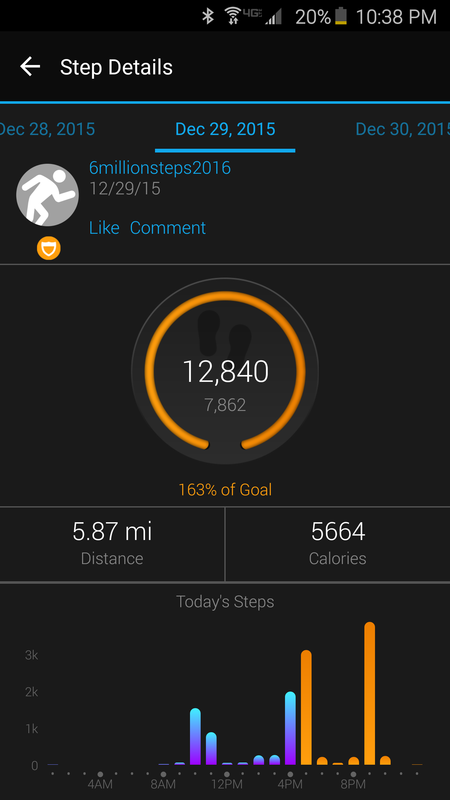 Today was a tough day to get my steps done. It was a cold day and went to the movie with my son. I ended up having to go to the gym and spend 45 minutes on the treadmill to come close to getting some minimal 7500 step count. This first month of this challenge is going to be the worst trying to get my body to step up to doing this much walking. Well it has been a few days since I thought of this challenge for myself in 2016. It has taken me some work trying to set up this Blog. Despite being good at computers and previously having my own website for my skills are to say a little rusty and I am having issues figuring out how to create and arrange items. This brings us to today where I have again struggled with weight loss. I started this journey just pre surgery at 423 lbs. I have been as low as 357 back a few months ago, but now I have been steady in the 365-375 range for the last 3 months despite efforts. Today I am 375. My mind is racing with the things I need to plan and do to help me succeed. My barrier are long, but I am not going to let myself fail again at major weight loss after going through this trauma. My hope is that this challenge to journey 6 Million Steps will break me through this plateau and help lead me to finally having success in changing my life’s health / weight journey.